In a hurry? Jump ahead to the #1 app. Time tracking is a sure-fire way to improve productivity in your business. And thanks to the widespread adoption of mobile technologies, it’s effective for both traditional office and remote teams. Android is one of the most widely used mobile operating systems, and its users enjoy the availability of a number of time tracking apps. However, not all of them offer the same set of features, making some choices more useful than others. If you are currently in the process of finding the perfect time clock app for Android for either yourself or your team, we’ve reviewed the best choices to make your decision easier. Managers of remote teams and freelancers get special benefits when using Hubstaff because it allows for real-time tracking of hours, monitoring of activity levels, and optional screenshots of logged time. They can set budgets and time limits for team members that keep projects from going over budget. With accurate reporting features, managers and business owners can track team efficiency with higher precision. This enables them to make better estimates and pay team members quickly and accurately. Hubstaff automates the entire payment process, fully eliminating the hassle of payroll and invoicing. It’s easy to create client invoices based on hours worked, or pay team members through Hubstaff. This timesheet app for Android supports multiple major online payment platforms, such as Payoneer and PayPal. Pricing: Free for one user, basic plan starts at $5/month per user. Toggl time logging app for Android is simple and easy to use. The tool aims to improve workplace productivity by helping people focus on one task at a time. It can help you avoid distractions so that you can get things done faster. Its main features include an overview of tracked time and progress on tasks. You can organize your projects through color-coding and dividing them into sub-projects. Setting billable rates is easy, as is sharing time reports. The app integrates with numerous third-party apps and is available across devices. Syncing is in real-time so you can focus better on one task at a time. You can use it while offline without worrying about losing your data. Pricing: Starting at $10/month per user. 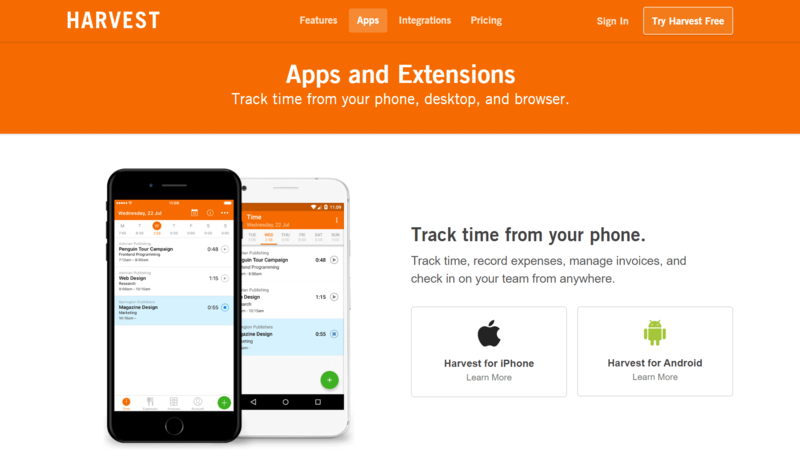 Next in line for Android time tracking apps is Harvest. It promises to make timesheets likable and does a good job at that. The app provides real-time access to tracking, allowing you to stay on top of projects and budgets. You can create and share invoices online and get paid via different online payment systems such as PayPal and Stripe. Harvest integrates with more than 70 other work tools, so embedding it in your workflow isn’t a problem. Pricing: Free for one user with up to two projects; starting at $12/month per user for unlimited projects. 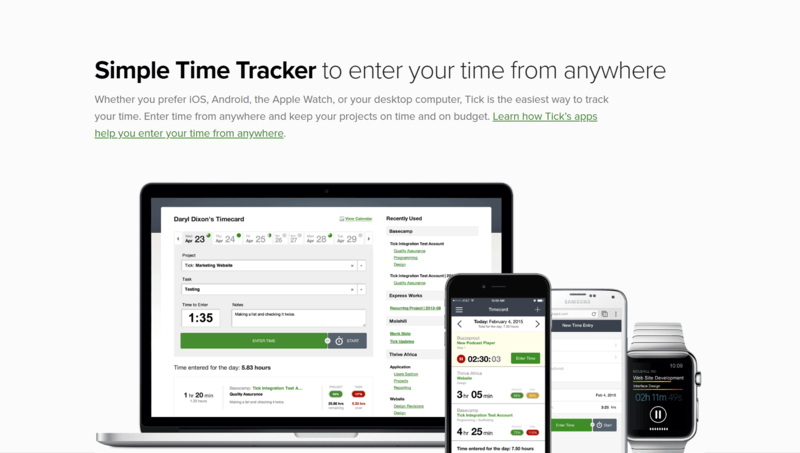 At the core of TimeCamp is the very essence of time tracking — timesheets. Managers get an in-depth overview of logged time and can approve team members’ timesheets. 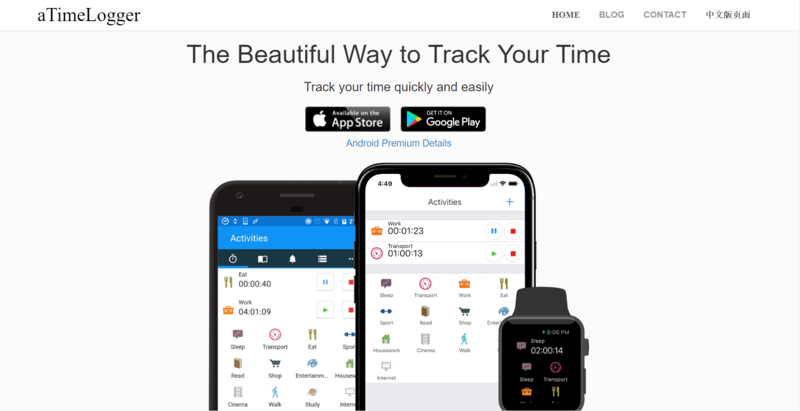 The app boasts a number of integrations and has all the essential features of a time tracking tool. 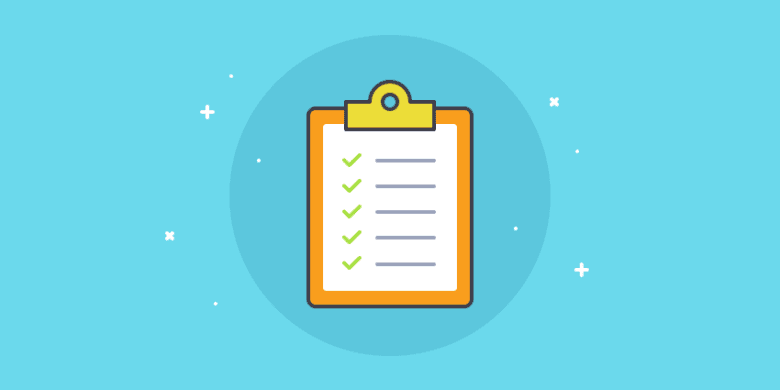 TimeCamp allows different team members to note tasks and prioritize them so that the common schedule is set together. For personal time tracking, you can feed keywords in the app and it will automatically assign your current work to the time tracking of the project it belongs to. Pricing: Free for solo use, for companies starting at $7/month per user. ClickTime allows you to skillfully budget the time of your team. 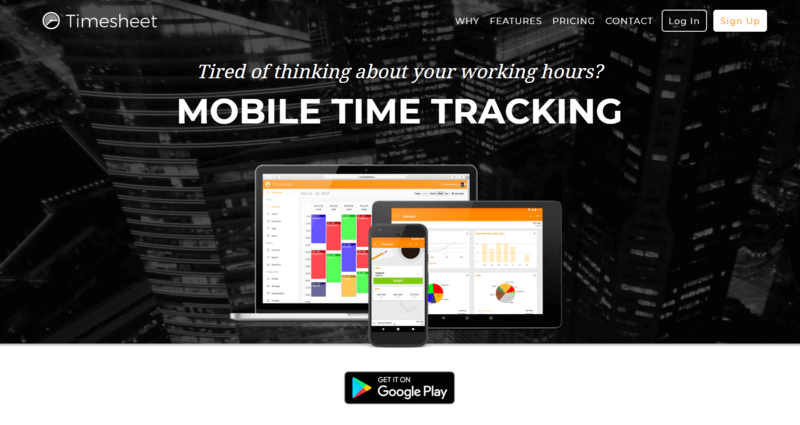 The app helps companies stay on top of time tracking for all team members. You can even import information from other time tracking tools. In the end, you have all the necessary data in one place, minimizing constant tab-switching between different apps. The Business Insights feature of ClickTime gives you a full picture of all costs for your team’s work so you can evaluate the margins. Similarly to the Harvest app, this gives you enough data to plan the budgets of upcoming projects. It also allows you to better judge the current availability of your team to take on new projects. Pricing: Starting at $9/month per user. If you like simplicity, Tick is a good choice for time tracking on Android. The app works with time cards, where you can log not only hours but also other details about your tasks. You can create recurring projects, which makes repetitive work easier to handle. Tick provides an option for quick and smooth reporting, too. Timesheets are easily turned into reports about individual team members or projects. Its main integration is with Basecamp, where you can track time without leaving the project management tool. Tick boasts real-time budget tracking too, so whenever you log hours, the app updates all connected data. Pricing: Unlike other apps, Tick offers plans based on projects and not on team members. Free for one project; starting at $19 for 10 projects. Clockodo improves teamwork efficiency. Its functionalities enable employee management with scheduled work hours, holidays, sick days and overtime. Tracking hours can be done according to projects, customers or job positions. The app is available in multiple languages. Team members can input tracked times via the colorful interface, while managers can analyze the data and filter out which projects are profitable. Clockodo provides flexible reports so that budgeting is handled with ease. It generates timesheets automatically, and invoicing your customers is quicker and more precise. Pricing: Starts at $6.50/month per user. If you were looking for a free app that could suit your personal time tracking needs, aTimeLogger may be for you. It’s highly customizable so you can tweak it to fit your preferences and lifestyle. The tracking options are split into themes such as sport, work, shopping and more. Besides keeping an eye on your time management, aTimeLogger helps you set your short- and long-term goals and track time toward them. You can use it to improve your productivity and focus on the important tasks in your to-do lists. Pricing: Free for Android users. Timesheet for Android is a clean and simple solution for your personal time tracking. It’s available only for this platform and has a fresh interface that’s easy to use. You can use voice commands to work with the app, plus it provides location tracking. You start tracking with one click and can insert breaks. With Timesheet, you can also track your expenses and add notes. All your stats can be easily exported to Excel. To keep your data safe, you can backup and restore it to Dropbox or an SD card. Pricing: Free for basic functionality. 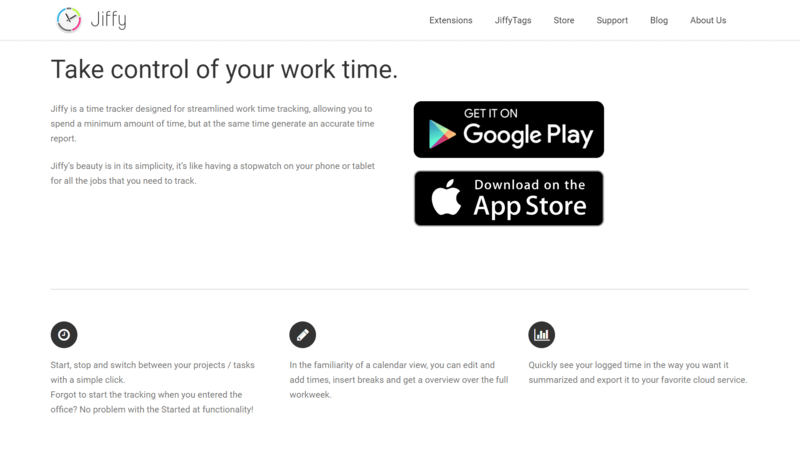 Jiffy is an Android time tracking solution for personal use that claims to be light on your phone battery. The app will help you streamline your work schedule with its calendar view. You can easily enter new tracked hours, see your week ahead, and insert breaks whenever needed. Exporting your data is easy, so reporting and archiving becomes hassle-free. No registration is required to use the app. Offline use is possible for recording work hours even when you’re not connected to the Internet. Choosing the best time tracking app for Android devices doesn’t need to be complicated. These 10 Android apps offer different solutions for different needs, so make sure you have outlined them along with your goals before you start time tracking. Your time tracking software will surely help you in your battle with multitasking, distractions and the constant feeling of being busy. That’s the only way to go so that you can focus on the truly important tasks in your day with full power and attention. 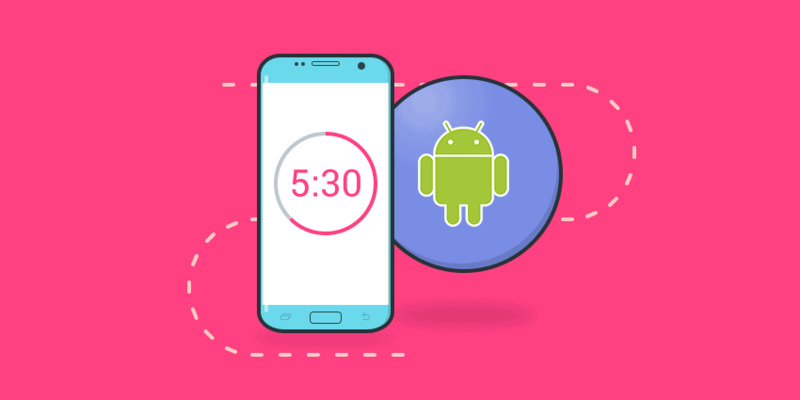 What does an Android time tracking app need to have to suit your needs? We’d love to know your thoughts in the comments below! This post was published May 26, 2016, and updated October 2018.